Today, November 19, Dusty returns home from his round-the-world race as Planes is released on Blu-ray. Brought to us by DisneyToon Studios, Planes was released over the summer and tells us the tale of how a crop duster becomes a champion race plane. I’ll be honest, my initial reaction to the film was not great, and if you want to hear what myself and my podcasting fellows thought of the film you can listen to Episode 137. The Blu-ray itself is not what I’d call “chock full” of features, but what I did find interesting is that the many of features it does have are centered around Director Klay Hall and Producer Traci Balthazor-Flynn explaining their choices when making the film. This is centered around deleted scenes primarily. The big deleted scene, one you’ll be asking yourself, “why was this left out of the movie at all?” is one they call “Franz’s Song”. This scene would have taken place just after Dusty arrives from flying across the ocean and meeting the flying car Franz. To lift his spirits, Franz sings a song to Dusty. It’s short, and clever, and was completely finished - it also fit well into the context of the moment and should not have been deleted. Other deleted scenes are not finished, but are very rough, some story-boarded, and others partially CGI rendered. In a piece titled, “Klay’s Flight Plan” we get to spend some time with Klay Hall and learn about his journey making the movie Planes. It’s an interesting piece where we learn that he has a strong affinity for airplanes due to his connection to his grandfather who was a WWII pilot and a Jolly Roger. One thing that I think shows through in this piece is that for much of the time Hall is talking about the original more war-based version of Planes that he set out to make. To the point where he’s talking about characters and moments that are not even part of the plot of Planes itself. Two interesting facts you’ll learn are how they plotted the race course using real fuel consumption calculations, and how Propwash Junction and characters in the movie were inspired by an old abandoned airfield they found. You’ll get to go through all the original pre-release marketing clips that were available to learn about El Chu, Ripslinger, Dusty, and Ishani. In "Top 10 Flyers", sports reporter Colin Cowherd (the voice of Blimp announcer Colin Cowling from the movie) talks about the the real world top 10 aviators of all time. Unfortunately I felt this piece was far too short and not very detail oriented. 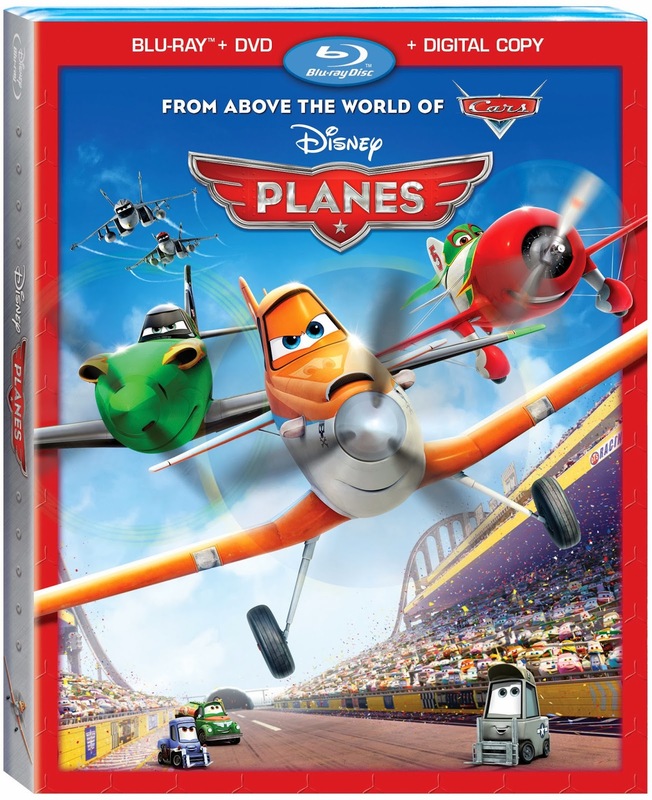 The bottom line is that if you or your children are Planes fans, there’s no reason not to get yourself a copy of this movie either on Blu-ray or digitally. As a Blu-ray I feel it’s short on content and should have included interviews from Dane Cook, more about Fire & Rescue, a piece on animating the movie, etc. to help round it out.